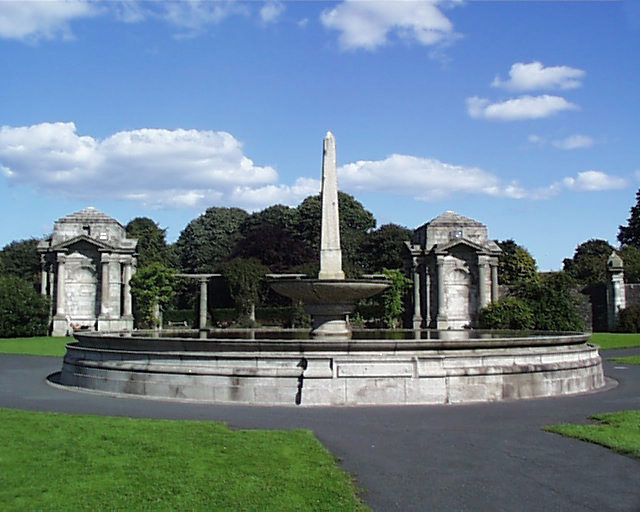 Designed by Sir Edwin Lutyens, the Irish National War Memorial commemorates the estimated 49,000 Irishmen – all volunteers who died and the estimated 300,000 who fought in the British Army during the First World War of 1914-1918. 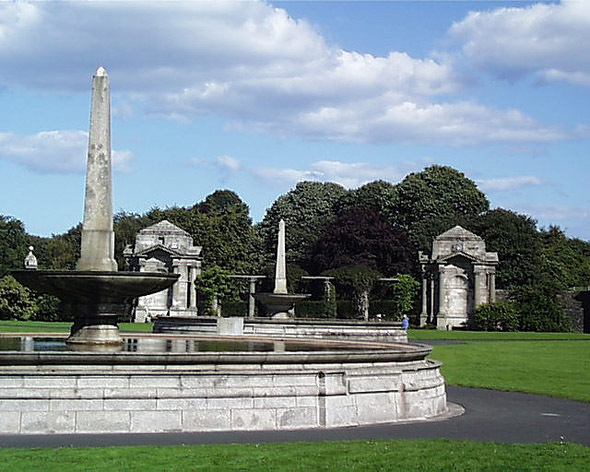 Unlike his other war memorials, Lutyens designed a tranquil garden on the banks of the Liffey – a garden that was originally intended to be linked to the Phoenix Park on the other side by a bridge. This three arched bridge was to built on the central axis of the main lawn. 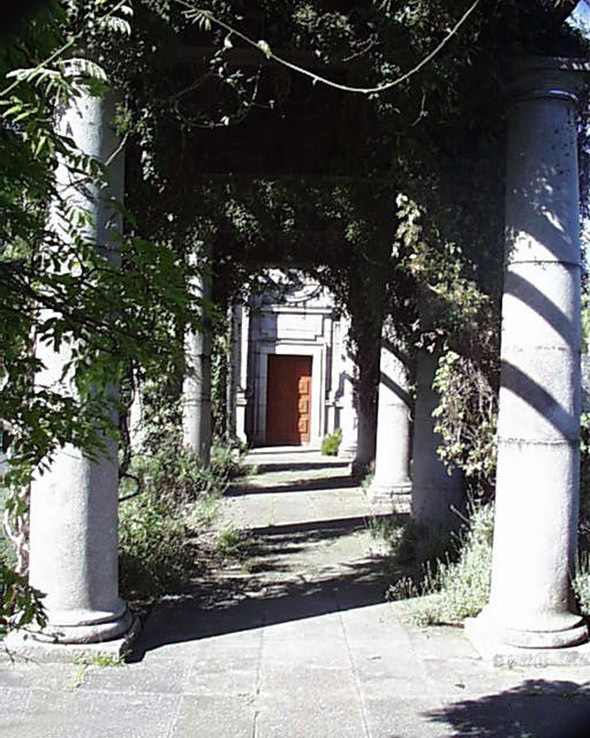 The garden consists of a Great War stone surrounded by circular fountains which in turn are enclosed by pairs of ‘book rooms’ and pergolas. 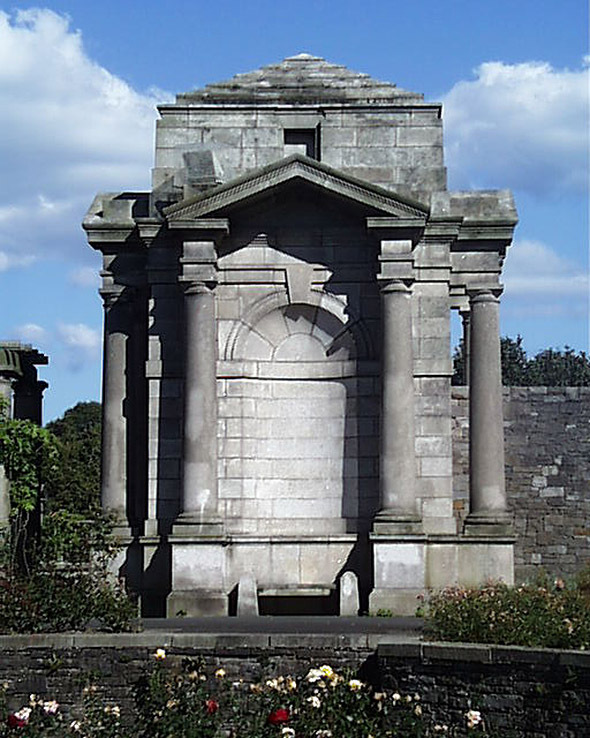 The ‘book rooms’ take the form of small limestone pavilions with sloping stone roofs and blank niches. Originally these rooms contained books designed by Harry Clarke containing all the names of the war dead. 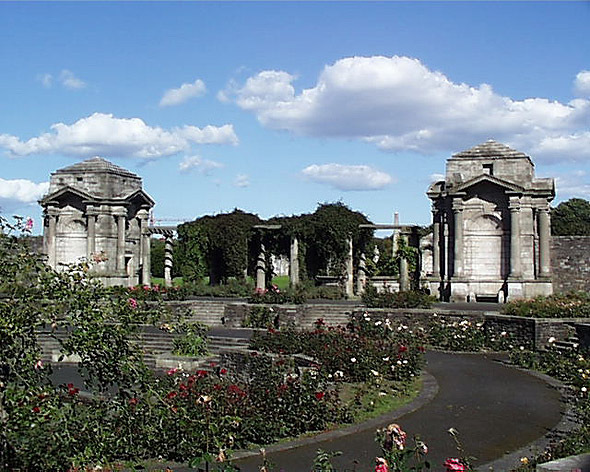 The gardens was shamefully neglected for many years before undergoing restoration by the Office of Public Works in the 1980s. The park ranger now has a facility in one of the pavilions to view and print any page from the 12 book memorial record.